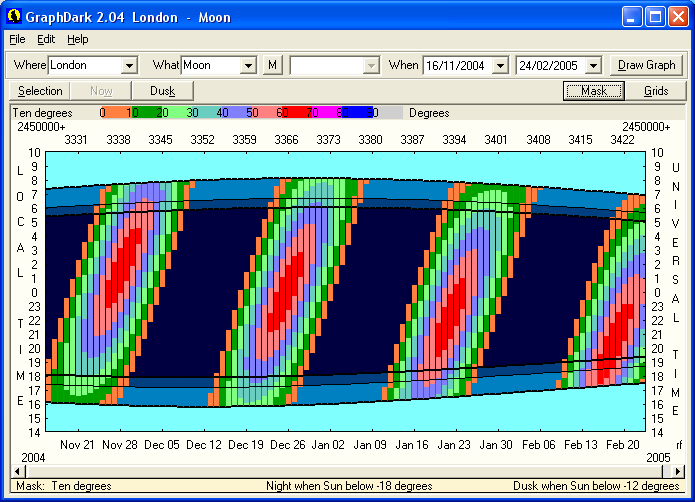 This timetable shows moon rise and set over the usual background of sun rise and set. When used with other objects the time when the moon is up is shown by a grey bar. The coloured altitude mask has been turned on the show the moon's changing altitude during the night.